The advent of the Internet has triggered the penetration of industries inclusively towards online marketing strategies in general and the e-commerce market in particular (Harris et al. 2006; Brogi et al. 2013). However, businesses such as that of luxury brands, where purchasing decisions are primarily made on the grounds of emotion rather than product quality, are facing numerous challenges in going online (Okonkwo, 2010; Ozuem & Lancaster, 2014). Luxury providers seem yet to understand how to convey the ‘luxury boutique experience online’ (Larraufie & Kourdoughli, 2014, p. 206). Exposure to the product triggers luxury customers’ emotion and impulsive purchasing decision respectively (Okonkwo, 2010). This implies a difficulty for the provider to ‘communicate’ online the product ‘attributes’ to the emotionally attached customers (Luo et al. 2012, p. 1135). In this context, Luo et al. (2012, p. 1135) emphasize an increased risk of online service failure occurring in luxury brands. This is consistent with the reached consensus across digital marketing scholars that online environment embeds a greater risk of incidents (Kietzmann et al. 2011; Zhu et al. 2013). It is also well supported by the failure-recovery literature in general, which suggests that service failures are inevitable (Harris et al. 2006; Kau & Loh, 2006; Mostafa et al. 2014). The online environment seems to have been detaching luxury brands from their authentic theme, namely that of specially featured high-priced products available for the select few (Heine, 2012). Numerous luxury companies have reduced prices for online customers, thereby enlarging the target market (e.g., Ng, 2014). The question this raises is whether luxury brandings are losing the epithet ‘luxurious’. This new approach and positioning might reduce failure-recovery expectations for utilitarian customers. These are the customers who evaluate the loss from failure with the gain from recovery in terms of financial resources (Ringberg et al. 2007). However, the underlying challenge remains that of identifying recovery alternatives, which would meet the expectations of all types of customers without endangering the originality of luxury branding. 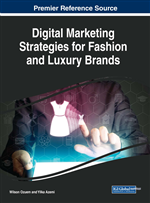 The effort of services marketing scholars and practitioners to conceptualize service the failure-recovery strategy experience in online luxury brands has been particularly evident in the last decade (Ozuem & Lancaster, 2014). Guillory (2016) explains the origin of the online luxury service failure in terms of a two-fold typology: (1) failure in ordering, and (2) failure in shipping. The former refers to technical issues subject to deficiencies in the online platform (e.g., website). The latter corresponds to the delivery problems (see Figure 3). This is in line with extant online failure literature, which identifies these two as the most frequent types of service failure in the online environment (Meuter et al., 2000; Holloway & Beatty, 2003) (see Figure 2). Further, online recovery strategies such as discount, replacement, apology, and refunds have been examined (Kuo et al., 2011). Additionally, numerous antecedents have been considered to explain luxury customers’ stance in the online failure-recovery experience. For example, Ozuem & Lancaster (2014) propose three attributes to identify customers’ satisfaction with the failure-recovery experience. These are communication, expected time of recovery, and fairness. Brogi et al. (2013) analyzed engagement in online post-recovery behavior such as word-of-mouth and its consequences, suggesting a greater impact of WOM across online brand communities. Thus, although online negative word of mouth might influence all types of customers, brands would face a greater threat if negative WOM were collaboratively spread (Rauschnabel et al. 2016).